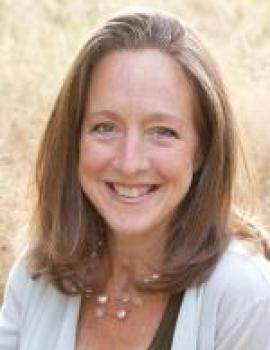 Susie has an upcoming Pro D Seminars live webinar on Advanced Acupuncture for Anxiety, Insomnia & Depression approved for 6 CEU/PDA/CPD, streaming live on February 5th. Click here and register before January 22nd to save with the early bird rate. She also has an upcoming Medigogy webinar on January 24th on Taming the Unbridled Thought in Anxiety, Insomnia & Depression. Click here to sign up for this free one-hour lecture and to download handouts. One thing I’ve learned from studying the ancient medical texts from my teacher, Tran Viet Dzung, is that if the ancient masters of thousands of years ago offer a theory, then a practical application exists to help our patients. For example, when they state a natural law that the child return to help its parent, and the student come back to thank the teacher, and to remember the person who planted the tree when you eat the apple, it’s all to illustrate that when we treat the acquired (post-natal) energy, we must remember to treat the innate (pre-natal) energy and vice versa. This illustrative theory suggests that in practice, when we are in front of a patient with needles in hand, to always consider to treat the Spleen/Stomach (acquired) in conditions involving the Kidneys (innate) and to always consider treating the Kidneys in conditions involving the Spleen/Stomach. In the case of treating a menopausal woman, for example, when treating the Kidneys (innate), remember to also treat the spleen/stomach system (acquired) for a better clinical effect, as the natural law is that the acquired (Sp/St) must come back to help the innate (Kd). If you’ve seen a menopausal woman, she could likely explain the significance of this, as typically she’ll notice her digestive system isn’t of the same caliber as when she was younger. You may even notice teeth marks sprouting on her tongue that weren’t previously obvious. Mentally, she may tell you that she still harbors all these thoughts, but often lacks the motivation or the will to follow through to action. The theory put forth by the ancient masters applies to the mental as well as the physical. Just like the acquired must come back to help the innate, a thought, if it exists, must move toward action, in order for it to be a healthy and productive thought. In the ancient texts, they rarely just say Yi (thought) or Zhi (Will); they more often say Yi/Zhi mentioning them together, as physiologically one does not exist without the other. So just as the acquired must come back to help the Innate, just like the child must return to help its parent, as a natural law, the thought, in order for it to be a functional, healthy, physiological thought, must move toward action in order to achieve an internal homeostasis. Otherwise, if the thought is allowed to just hang out without follow-through, assuming real estate within our being, it risks stagnating. And we all know too well that a stagnant thought is no fun. It seems this condition of a stuck thought, or continual thinking gone stagnant, could be a rampant issue in our society and among the conditions our patients present with. What if there were simple ways in which we could help our patients to move their thinking. Even better, what if there were ways we could help them to make a decision, even if it’s not a good decision, but just any old decision, to get them out of their head. And then what if we applied what we know to strengthen their Will and increase their motivation to take action and relieve them of the relentless sticky thoughts? As we stand in front of the patient, with needles in hand, and we contemplate the wisdom of the ancient masters in the ancient medical texts from thousands of years ago, observing the patient’s bloated belly, scalloped tongue, and worried shriveled look on their complexion, we recall that theory without practice is nothing. And even though we know this theory - that the acquired must come back to help the innate, and the thought must move toward action in order to be a healthy thought - how do we apply this theory to practice to help the patient in front of us, who is imprisoned by their pathological thinking? Join us for the upcoming Medigogy: Taming the Unbridled Thought in Anxiety, Insomnia & Depression, where we will relieve you of theoretical analysis by providing therapeutically tested action you can take with needles in hand to achieve clinical results with your patient laying before you. And better still, join us for a more in-depth study of applying ancient theory to real-world pathologies for Advanced Acupuncture for Anxiety, Insomnia, and Depression on February 5, 2017, 9am PST – 4pm PST for 6 CEUs – sure to be packed with more points-per-hour than you could wish for and more real-world action based on ancient energetic theory to ignite your conviction in treating the most complex pathologies. If you’re interested, please post and share with your friends and colleagues! Susie has an upcoming Pro D Seminars talk on Advanced Acupuncture for Anxiety, Insomnia & Depression, taking place on February 5th. Click here and register before January 22nd to save with the early bird rate. She also has an upcoming Medigogy lecture on January 24th on Taming the Unbridled Thought in Anxiety, Insomnia & Depression. Click here to sign up for this free one-hour lecture.